This post goes out as a massive thank you to all of our Starter teams. If you’re one of our Starter customers, these girls get to go to school because of you. These girls. The ones in the photo. That is a truly amazing, wonderful, incredible thing. Thank you. 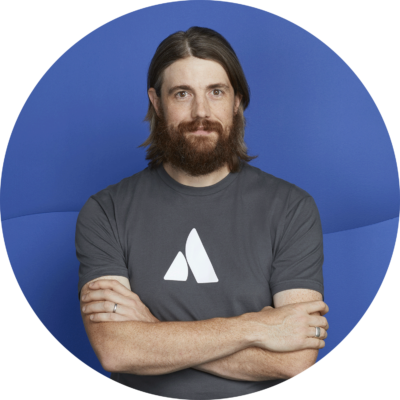 When Scott and I started Atlassian, we wanted it to be a socially responsible company that cared for the communities it existed within. We never thought that with the help of our customers, we could literally change lives. Today, we’re very proud to announce that we crossed the $1 million milestone in our donations to Room to Read. In our Sydney office later this evening, John Wood, Room to Read’s Founder, will be on-hand to accept a cheque. He’ll talk to our staff about the great work his awesome team have done in spending the money. The money was entirely raised through the sale of Atlassian Starter licenses, our $10 licenses geared towards startups and small software teams. 100% of the money from the sale of Starter licenses is donated to Room to Read. We launched our Starter license program back in April 2009 with the goal of donating $25,000, and we had no idea then that the program would be so successful and grow so big so fast. Tens of thousands of software teams and startups around the world, representing hundreds of thousands of developers, are using their Starter licenses every day, but I bet they don’t realise the impact their purchase has had. What does $1 million do? So what have Atlassian, together with our Starter customers and Room to Read, concretely achieved? By the end of 2010, Atlassian impacted over 45,500 children across 4 different countries. Together with the local communities, we’ve built 4 complete schools, established 99 libraries, written & published 2 local language titles (including printing 10,000 copies each), and provided scholarships to 430 girls who would otherwise not have gone to school. And that’s not even the full $1mm. We just transferred to them about another $200k of that $1mm, the funds of which are still being divvied up and applied to children’s literacy programs throughout Vietnam, Cambodia, Sri Lanka and Laos. Yes – those girls in the photo get to go to school and have a library full of local language books because of your $10 license. Keep using our tools! I hope the tools are doing great things for your team, and can assure you that your purchase is doing wonderful things for others. To the thousands of Starter teams out there, thank you! Room to Read, Atlassian and children across Asia owe you a huge bucket of thanks for investing in our tools for your team. From my personal perspective, I’d like to thank our team at Atlassian who develop, support, market and really believe in the Starter program. Their enthusiasm and drive has made this incredible achievement possible. Of course, we’re not done yet. Celebrate your involvement and tell your friends. I can’t wait to write the next $1m cheque! From last night’s event with John and Room to Read.